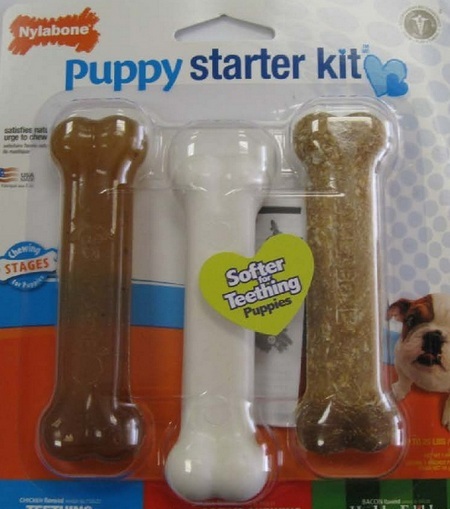 Nylabone is recalling one of its Puppy Starter Kit dog chews because they could possibly be contaminated with Salmonella. The lot being recalled was distributed nationwide, to Canada, and was even available through online ordering. As of the press release date of 4/22/15, no illnesses had been reported. However through random testing of the products, the presence of salmonella had been detected. Please help spread the word! Share on every social media platform possible. We don’t want any puppies to get sick.